Planet-hunters have discovered two "super-Earths" orbiting two nearby Sun-like stars. These rocky planets are larger than the Earth but much smaller than ice giants such as Uranus and Neptune. 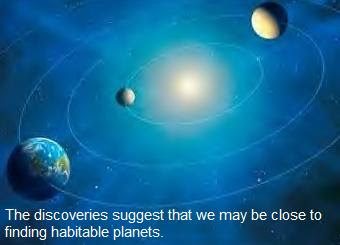 Scientists say the discoveries are a step towards finding potentially habitable planets - smaller planets that are comparable to the Earth. Read more at the BBC.